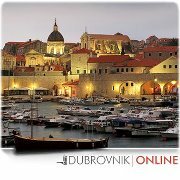 I was born in Pula, in the former Yugoslavia, which is now a part of Croatia. I immigrated to Canada with my parents when I was 6 years old. I am a Canadian citizen and hold a Canadian passport. I wonder if it would be possible for me to apply for citizenship in the country of my birth, and have that citizenship in addition to my Canadian one. My grandfather was Croatian, and I'm doing the paperwork to obtain Croatian citizenship, if I can then you too. The best way to know is going or calling to Croatian Consulate or Embassy, they are great people and I'm sure you will obtain all the information you need.